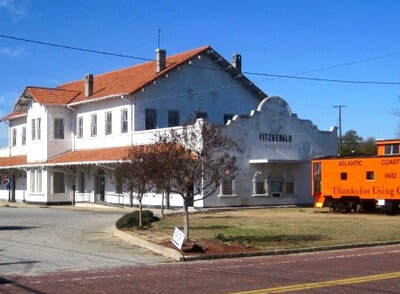 Whether it's indoors or outdoors, self-guided or with an expert, tours are a great way to get to know the city of Fitzgerald, its rich history, and its friendly residents - both human and fowl! Printed copies of self-guided tours are available at the Department of Tourism Visitor Center or you may download electronic versions by following the picture links below. For guided tours of the Carnegie Center and the Grand Theatre, please contact the Department of Tourism, Arts & Culture for advance scheduling.